As we have continued to grow the TrilbyTV community, the ability for us to work with other platforms has become an important part of our development approach. A growing number of schools are now using Google’s G Suite set of applications and this gives us the opportunity to create stronger integration with the way the school works. A school using a G Suite for Education on their domain can log in to TrilbyTV directly, using their G Suite account. If they are already signed in on a school device, such as a Chromebook, just by clicking the ‘Sign in with Google’ button they can connect to TrilbyTV instantly. When adding any content, a G Suite user can access their Google Drive folder and upload videos or slideshow images straight into TrilbyTV, there is no need to convert or resize anything. Just tap + pick your content and save. One of our favourite Google integrations is the ability to include a Google Slides document on your digital signage. This is a live feed to the Slides document, which means a change in the slide is reflected in the signage as soon as it reloads. This makes it great for menus, agendas and information that changes frequently. To get more help with setting this up, check out our support guide to walk you through the simple process. When it comes to showing content, our native Android app and ChromeOS app mean any Google device can be a signage player. There are a number of affordable boxes out there which run Android and when paired with a TV make a great signage solution. For schools with a Google domain and management console, the Asus Chromebit (CS10) works well for playback and can also be remotely configured and managed via Chrome’s Kiosk Mode. You can see a preview of our Google integrations in this short video. 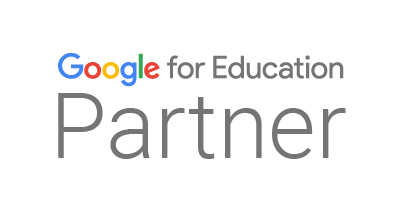 We’re proud to be recognised by Google as a Google for Education Partner and will continue to integrate where we can to make TrilbyTV even better for our community. Scaling up your digital signage experience.